Vitamins & MineralsTrec Vit. C Strong 1000 [witamina C] - 100 tabl. 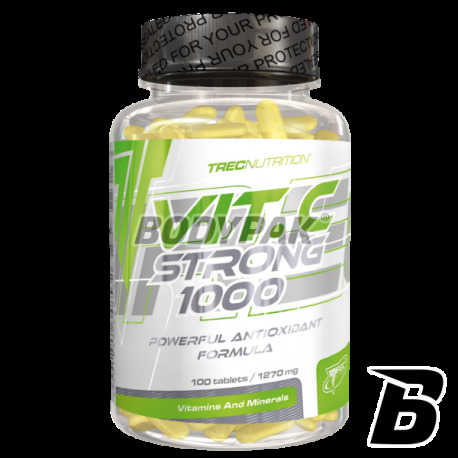 Trec Vit C Strong 1000 is a dietary supplement containing increased to a maximum dose of vitamin C (1000 mg), enriched with a complex of citrus bioflavonoids and zinc. Vitamin C (ascorbic acid) helps neutralize generated during practice of free radicals that accelerate aging of not only the body but also to reduce the resistance to infections, increase the time needed for regeneration. 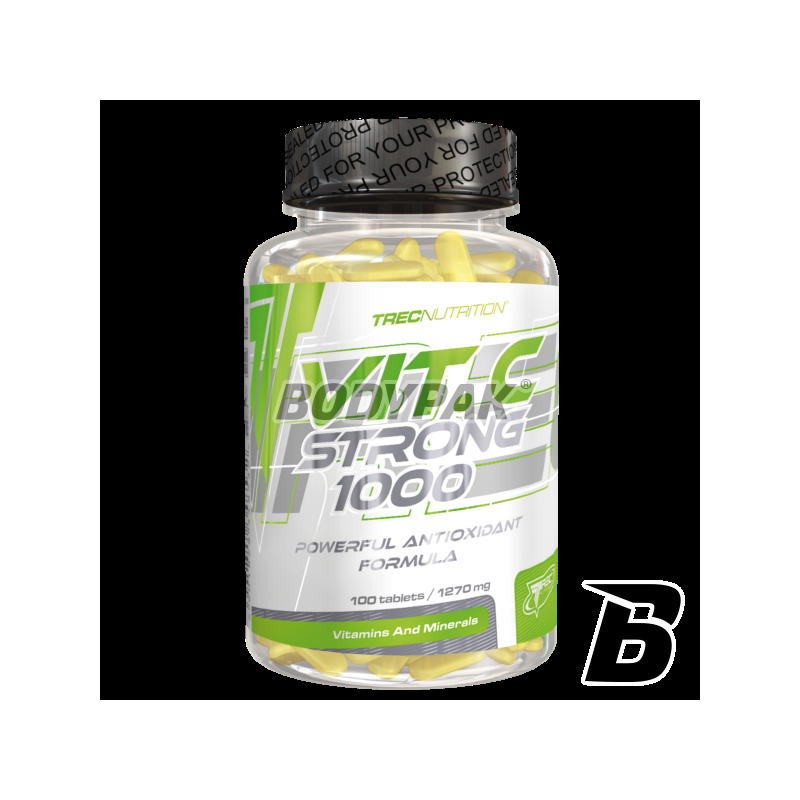 The addition of bioflavonoids and zinc increases the antioxidant effect of vitamin C. The present supplement Vit C Strong 1000 is the highest quality preparation having the composition of a complex of natural antioxidants, which are necessary for an effective fight against free radicals. The synergistic combination of ingredients preparation combines the most important to maintain resistance and high physical fitness components. The high dose of vitamin C (1000 mg), together with citrus bioflavonoids and zinc helps to protect cells from the destructive effects of free radicals and neutralize them effectively.